Expository writing: somewhere here or in the hereafter there is a school teacher and a college professor that take pride in their former student, Joel E. Finn, for his clarity of expression. 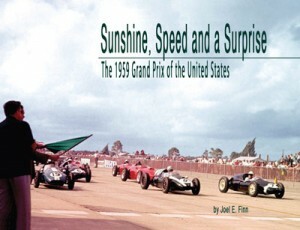 Finn is able to marshal data, and interweave anecdotes and his first-person observations into a compelling and clear narrative on what resulted in and at the first US Grand Prix, at Sebring in late1959. Let the past be prologue (or foreplay) as Finn traces how Alec Ullman built up Sebring as a must-do event for French, British, Italian, German, and American teams (among others) in the early 1950s. And then angled for the first Formula 1 event here. Sebring, such an exotic name in the 1950s (and now), far away in Central Florida from the northern climes, and a racing destination before Eisenhower’s Interstate system was completed, back when propeller-driven. How to approach this book? 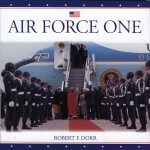 This is not a little paperback to read in the morning while straphanging your way into the financial district: the landscape format begs for a comfy armchair or a table as you take in the broad horizons of Sebring in the superb photos. You recall how you learned to skim a book by scanning the table of contents, and zoom over the pages before reading word for word? Such a technique is useful here, both to absorb the scholarly detail, and to appreciate the excellent visuals. As editor of the Aston Martin club magazine for North America I appreciate photos rich in texture and content, and in this book one can revel in images so rich in pictorial real estate that many could be candidates for a magazine cover. 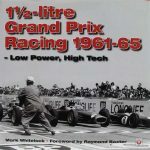 The book’s first half outlines how Alec Ulmann scored the first US GP event for the end of the racing season in 1959. The second part of the book describes what a three-ring circus the actual weekend was: Compact Car race – Formula Junior race – F1 race. Just as you are getting the cars and teams sorted out, Finn weaves in some of the social context: rivalry with Bill France and NASCAR, cultural clash between Americans and Europeans, a bit of the clash in American culture. The hottest part of Sunshine is the sense of “who’s who” in late 1950s motor racing; as an Aston guy I am pleased to find accounts of George Constantine and Rex Woodgate on scene, with Constantine taking a remarkable drive in a . . . Corvair! The Formula Junior race gives context to cars we now see in VSCDA and VSCCA events. The F1 race account is superb, with Brabham’s sweaty push of his dead racecar over the finish line, even as the young Bruce McLaren scores his first F1 victory after the famous guys break along the way—proving the racing mantra: “to finish first, first you must finish.” The Brabham desperate push of a dead car inspired at least one movie scene that I recall from childhood! Joel Finn was credentialed as a race worker and combines his first-person accounts with superb research. 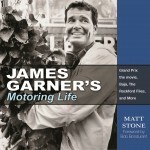 Anyone who has attended a motor race, even today with in-car cameras and simultaneous screens and reporters, knows how hard it is to get the real story beyond what might come out of the timing and scoring booth—the fog of war is lifted in this narrative by Finn’s craft not just as a witness but as a solid researcher. Let’s give this paper an A+, and a star position in a complete motorsport library. Copyright 2010, Nick Candee (speedreaders.info). The reviewer has been vintage racing with and writing about Aston Martins since the 1970s and edited the AM club magazine. 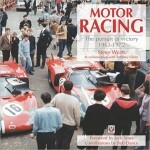 This review first appeared on the Motorsport Marketing Resources website.